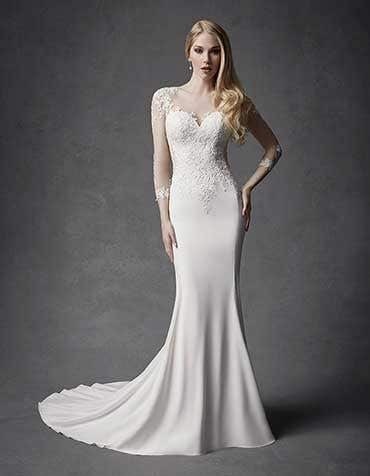 A 3/4 sleeve which ends just below the elbow is super flattering and designed with an illusion fabric such as tulle or lace. 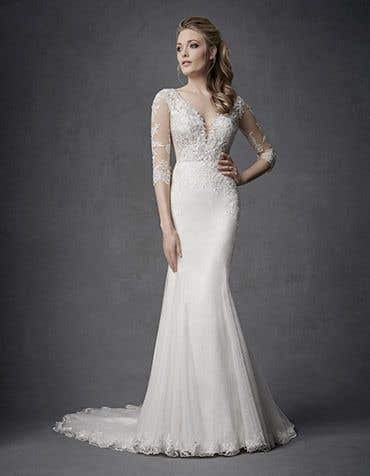 Our collection of 3/4 sleeve wedding dresses are perfect for brides-to-be that want a little extra cover up to ensure you're not feeling too exposed. 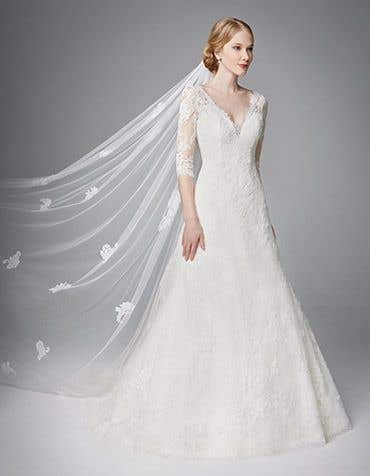  Visit one of our stores nationwide and browse our range of 3/4 sleeve wedding dresses - from full lace sleeves to delicate tulle and aplique, a wedding dress with sleeves is perfect for that extra coverage.